Valve equipment manufacturing has a very broad prospect in a short time or long run. Especially with the help of the four major factors: urban construction, industrial development, technological innovation, and globalization, domestic valve industry in China will be more International, high-end and modern in future, which was the direction of domestic valve industry development in our country. Domestic valve equipment manufacturers also enter a new market in the process of constant pursuit of innovation, and strive for the survival and development in the increasingly competitive tide of the pump valve industry. 1.The forged steel valve products market trend transfer oil development to inland oil fields and offshore oil field, also the electric power industry develops from the thermal power that below 300000 kw to thermal power, hydropower and nuclear power that above 300000 kw. Valve products should change its properties and corresponding parameters based on the changes of equipment application domain. 2.City construction system usually adopt a large number of low pressure valves, and toward the development of environmental protection and energy-saving, namely that it transferred by the use of low iron gate toward environment-friendly rubber sheet, balance valve, hard seal butterfly valves and the mid-line seal butterfly valve. Oil and gas engineering developed by using pipe, this requires a lot of flat gate valve and ball valve. 3.Energy saving is the other aspect of the energy development, so in terms of energy conservation, valve industry should develop the steam trap, and towards subcritical and supercritical high parameter. 4.The construction of the power station is developing toward large-scale, so this need large diameter and high pressure relief valve and pressure reducing valve, at the same time, this need quick headstock valves. 5.Because of the need of complete sets of engineering, the valve supplied by a single species to more varieties and specifications. The valve that project required, is more likely to be provided by a single valve manufacturer. Insiders say, firstly, pump valve enterprise should recognize the actuality of the industry effectively and clearly. Then, they should strengthen and optimize their own products constantly, and strengthen the suffering consciousness and the concept of enterprise culture and market service. The enterprise strives for the survival and development in the increasingly competitive tide of the pump valve industry, only under the condition of making progress while maintaining stability, chasing accuracy while keeping speed, going after stability while maintaining accuracy. Modern society is an information-explosion epoch, It is inevitable for the enterprise meet competitors in sale of products. Industry competition is a good thing for some companies. Because of the competition, enterprises improved the product quality and the service ability. In addition, consumers have got more or better consumption and services with less money. The market is a sieve, with the development of industry, the market also select the superior enterprises and eliminate the inferior enterprises. Although the current status of the development of ball valve industry is booming, state-supportive policy has a larger change, market demand is also increasing. Also, the fierce competition of pump valve industry makes the domestic pump valve related technical excellence. But many interference factors shows that the pump valve industry development prospect is not optimistic. As for some competitive large enterprises, through competition, their enterprise scale is becoming more and more large, and famous. But for some small and medium-sized enterprises that without competitive edge, may be facing a risk of being takeover or going bankrupt. In the increasingly fierce valve market, only the company with the core competitiveness can keep a foothold in the market. Innovation becomes the most effective tools for enterprises to win the market. In recent years, despite facing a huge test, due to good domestic investment environment and infrastructure policy continued to deepen, China's valve industry will usher in new opportunities that it can develop by sustained growth. Unceasing self innovation of enterprise make the leading technology, a wide variety of products wait to behold and present a picture of a booming development prospects. 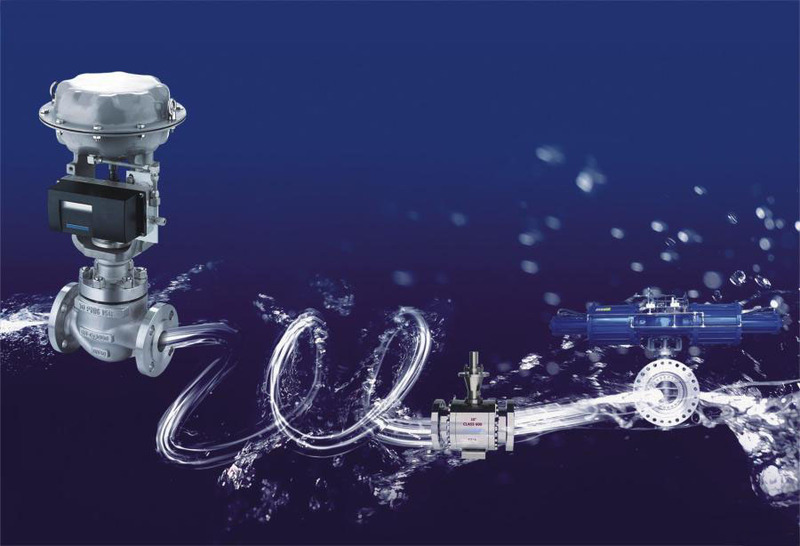 Just because of such technological achievements, pump valve industry can remain positive momentum. To measure whether an enterprise is advanced or not, with market competitiveness or not, whether it can keep ahead of competitors or not, important indicators are based on advanced technology to produce high quality product technique. With the rapid development of Chinese pump valve market, Industry enterprises will focus on related core application of production techniques and research and development certainly.